Most of the time, when you have a sewer line problem, your options are to either repair or replace the line. At Cooper's Inc., our professional plumbers in Topeka will be able to accurately diagnose any problems that you have with your sewer line, then help you determine the best way to repair the lines. Sometimes, the repairs can be performed with trenchless methods, which require no excavation; however, sometimes excavation is unavoidable when it comes to sewer pipe repairs here in the Topeka area. If you need to have excavation services performed in association with sewer pipe replacements and repairs, our expert plumbers will be able to handle every part of the job. We'll do whatever it takes to get the work done as we'll quickly as possible, and we'll always minimize the amount of excavation that needs to occur. We'll never perform any excavation unless it's the only method that will fix your sewer problems, and we'll always guarantee your satisfaction with our plumbing services. Repairing negative yard grading to prevent leaks in basements. Installing a sump pump with piping to the street. Repairing and/or replacing water or sewer lines. Repairing problems with water main or sprinkler systems. Installing exterior drain pipes to mitigate problems with downspouts that are too close to the home. Our professionals will only perform excavation when it's the only way to guarantee that the repairs will be completed properly. Troubleshoot the problem to find the best solution. Monitor traffic conditions in the area and surrounding the excavation site. 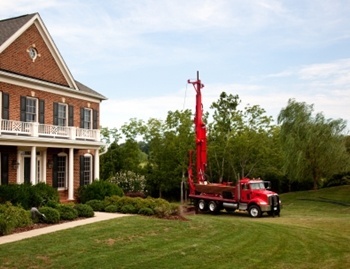 Work around any underground utilities in order to guarantee minimal interference. Shore a properly sized box. We'll get the job done as quickly as possible, and we'll make sure that all of our repairs are totally thorough and accurate. For sewer pipe replacement and repair related excavation services in Topeka, please call Cooper's Inc at 785-267-4100 or complete our online request form.